310-18 Councillors Beauchemin and Donnelly, to raise the fee in Chapter 149-10 of the Code of the City of Fitchburg to $300.00 per day. 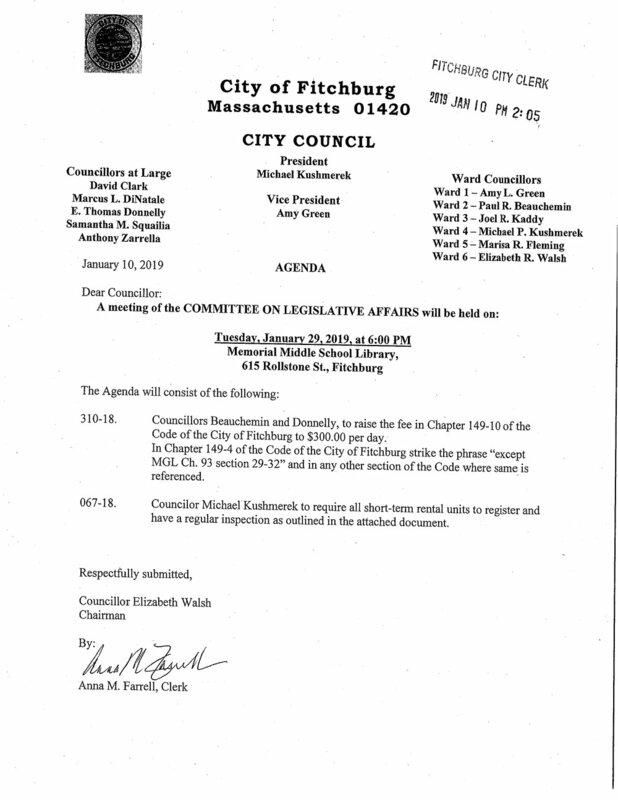 In Chapter 149-4 of the Code of the City of Fitchburg strike the phrase "except MGL Ch. 93 section 29-32" and in any other section of the Code where same_ is referenced. 067-18 Councilor Michael Kushmerek to require all short-term rental units to register and have a regular inspection as outlined in the attached document. Good afternoon, members of the City Council. My name is Andrew Kalloch and I am the Head of Public Policy for Airbnb in Massachusetts. Attached, please find testimony from Airbnb concerning the petition for short-term rental regulation that is on tonight's Council agenda. 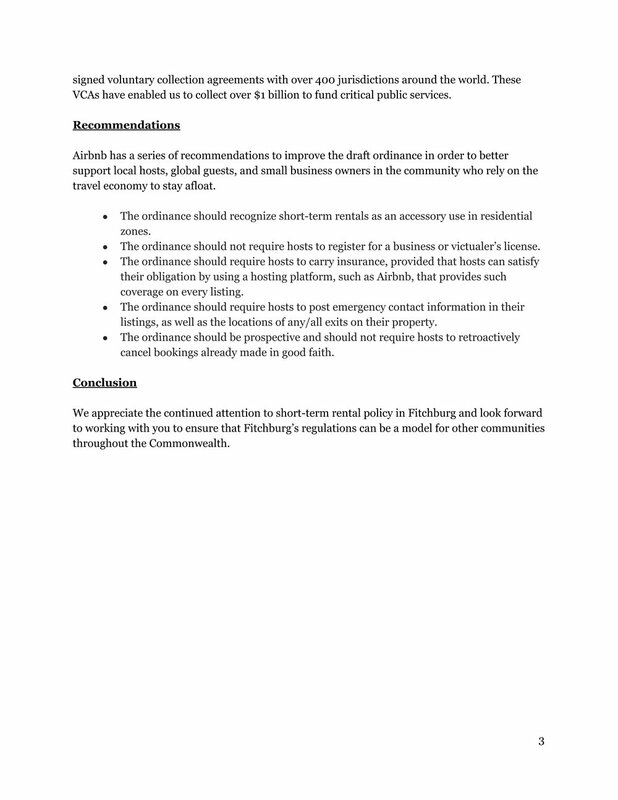 We urge the city to amend the proposal and adopt regulations that foster the economic opportunity of short-term rentals, while ensuring public safety. Please don't hesitate to reach out if you have any questions.